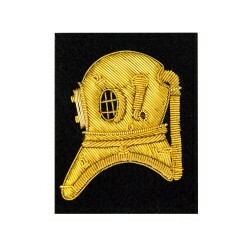 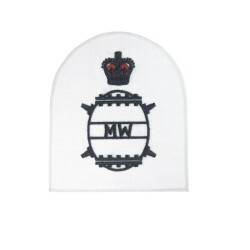 Royal Navy Warfare Branch Mine Warfare qualification badge for the rank of Able Rate.This blue ..
Royal Navy Warfare Branch Mine Warfare qualification badge for the rank of Leading Rate.This blue na..
Royal Navy Warfare Branch Mine Warfare qualification badge for the rank of Chief Petty Officer ..
Royal Navy Warfare Branch Mine Warfare qualification badge for the rank of Petty Officer (PO).This w..
Royal Navy Warfare Branch Mine Warfare qualification badge for the rank of Basic Rate.This white Roy..
Royal Navy Warfare Branch Mine Warfare qualification badge for the rank of Able Rate.This white Roya..
Royal Navy Warfare Branch Mine Warfare qualification badge for the rank of Leading Rate.This white R..
Tactical Recognition Organisation Insignia Badge for the British Army Cadets.This Tactical Recogniti..
Royal Navy Warfare Branch Intelligence (INT) Qualification Badge for the rank of Leading Rate.T..
Royal Navy Warfare Branch Intelligence (INT) Qualification Badge for the rank of Able Rate.This whit..
Royal Navy Aircraft Handler qualification badge for the rank of Leading Rate.This white machine..
2 Bar Chevron with Crown Corporal of Horse Rank Patch Badge for the British Army. 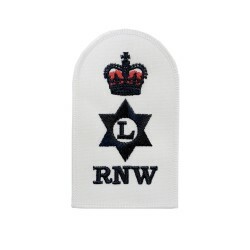 This 2 Bar Ch..
Army Musicians and Bandsmen for British Army.This Army Musicians and Bandsmen badge features a machi..
Royal Naval Cadet for Leadership.This blue navy Cadet badge is an embroidered anchor design on a rou.. 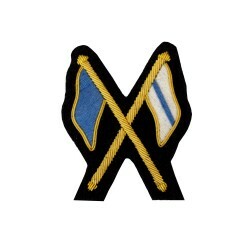 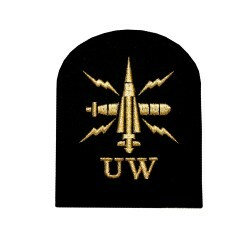 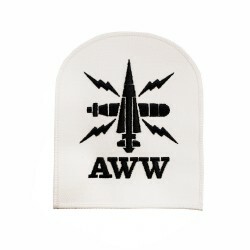 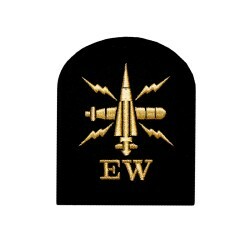 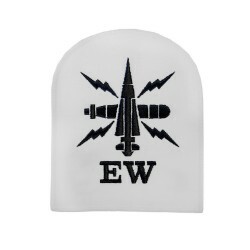 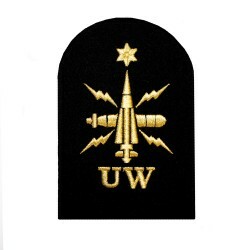 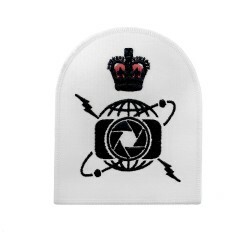 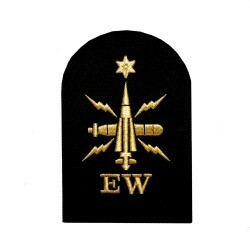 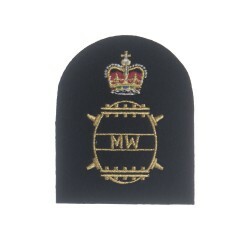 Warrant Officer Class 1 (WO1) Conductor Rank Patch Badge for the British Army.This Warrant Officer C..
Royal Navy Regulating Qualification Badge for the rank of Petty Officer (PO).This navy machine embro..
Royal Navy Mine Warfare qualification badge for the rank of Chief Petty Officer.This blue Royal Navy..
Royal Navy Coxswain Submariner Qualification Badge for the rank of Petty Officer.This navy machine e..
Royal Marines Lance Corporal Badge for the Royal Navy.This Royal Marines Lance Corporal ep..
1 Bar Chevron Lance Corporal Rank Badge for the Royal Marines.This 1 Bar Chevron Lance Cor..
Other Ranks turban organisation insignia badge for the Royal Air Force (RAF). 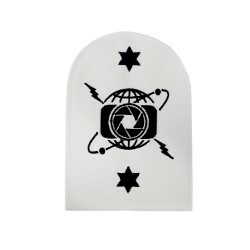 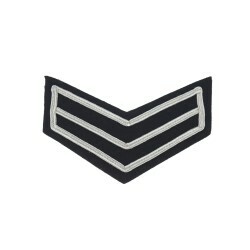 This Other Ranks .. 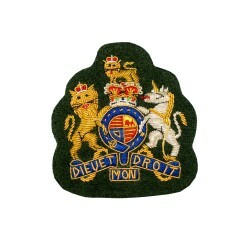 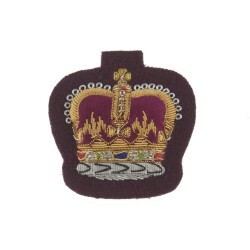 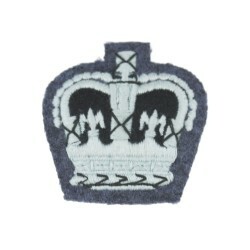 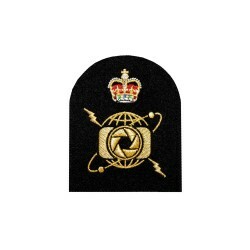 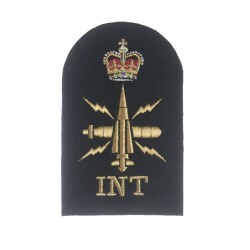 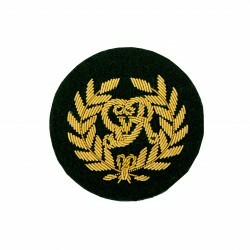 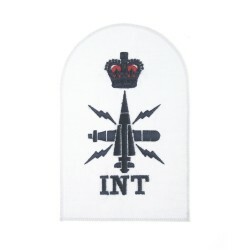 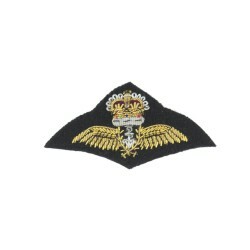 Pilot Qualification Badge for the Royal Navy (RN).This Pilot Qualification Badge features a han..
Staff Appointments Scots Guards organisation insignia collar badge for the British Army.This Scots G..
Driver (MT) or Driver Radio Operator Qualification Badge for the British Army.This Driver (MT) or Dr.. 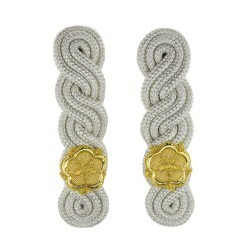 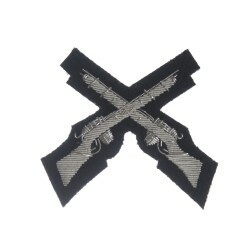 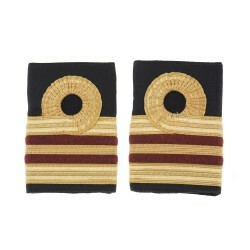 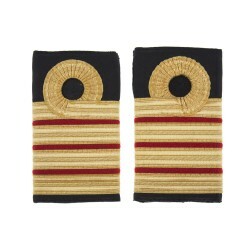 These epaulettes are worn by Deputy Lord-Lieutenants of England with full ceremonial No. 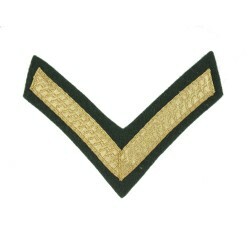 1 dress. 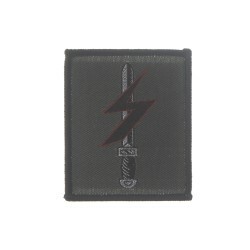 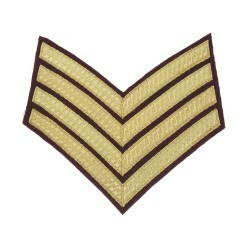 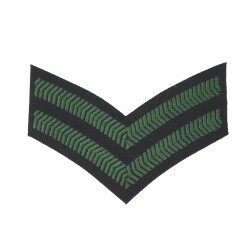 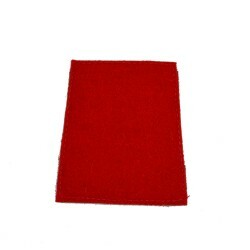 Th..
4 Bar Chevrons Drum Major Service Stripe Badge for the Parachute Regiment (PARAs), Royal Army Veteri..
1 Bar Chevron Lance Corporal (LCpl) service stripe for the Royal Marines in the Royal Navy.This Lanc.. 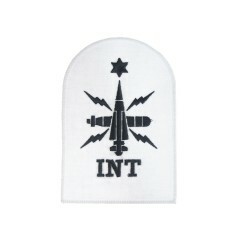 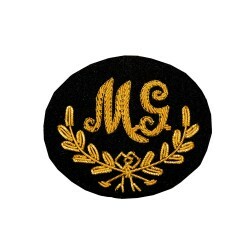 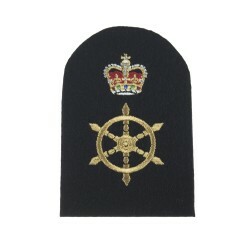 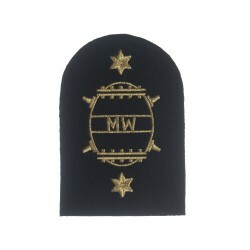 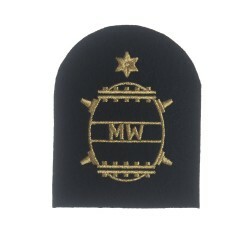 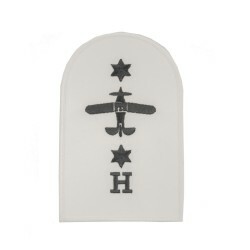 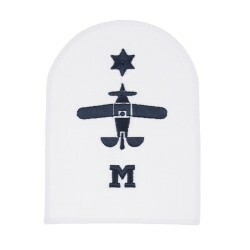 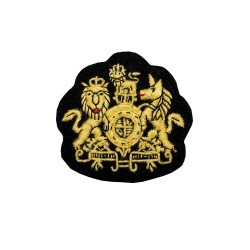 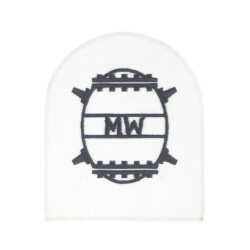 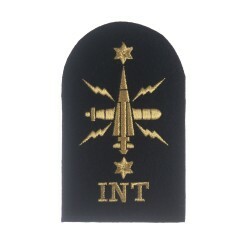 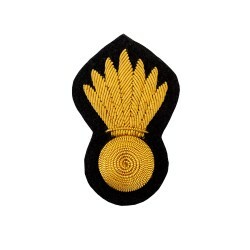 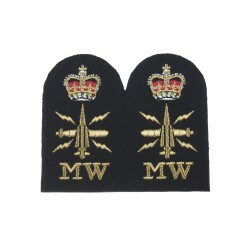 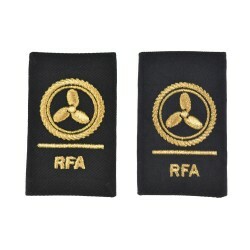 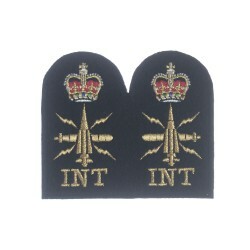 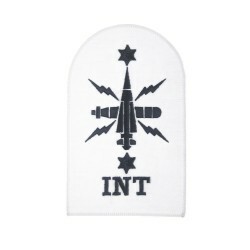 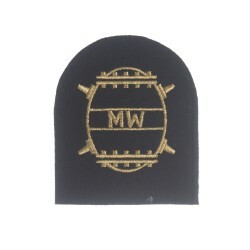 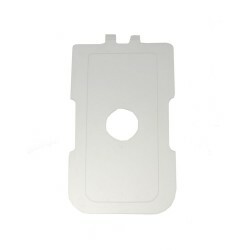 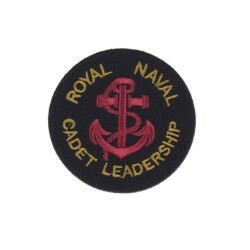 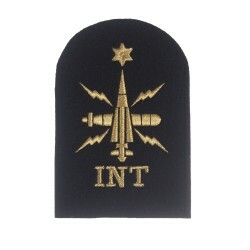 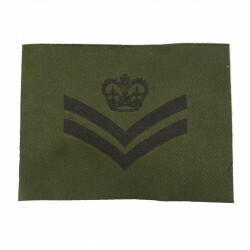 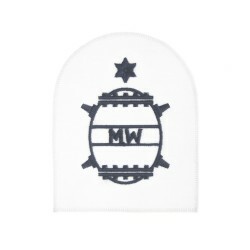 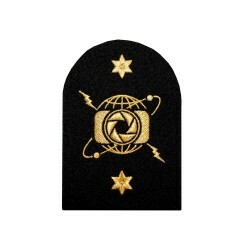 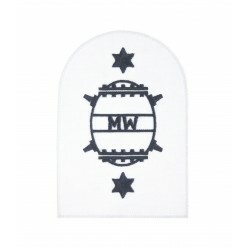 Surgeon Captain Medical (M) epaulette for the Royal Navy.This Royal Navy Surgeon Captain Medical (M).. 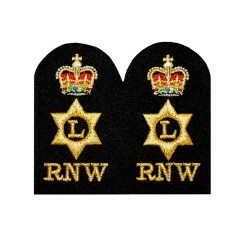 Surgeon Lieutenant Commander Dental (D) epaulette for the Royal Navy.This Royal Navy Surgeon Li.. 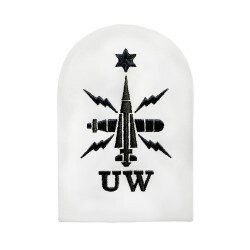 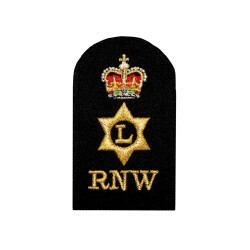 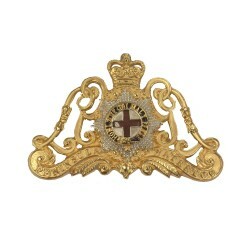 Surgeon Lieutenant Commander (D) Dental epaulette for the Royal Navy.This Royal Navy Surgeon Lieuten.. 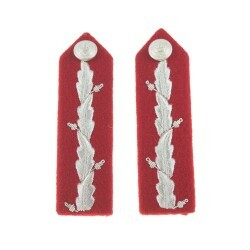 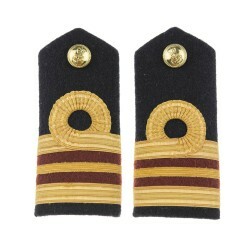 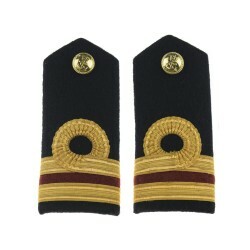 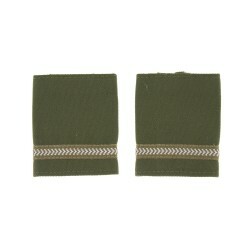 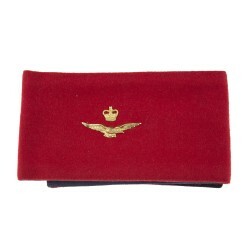 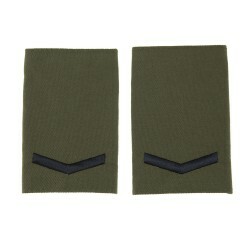 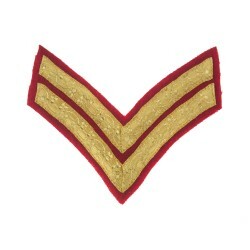 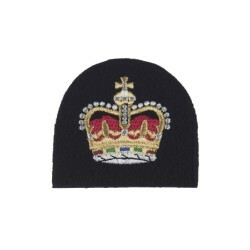 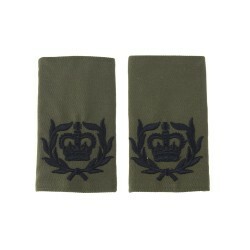 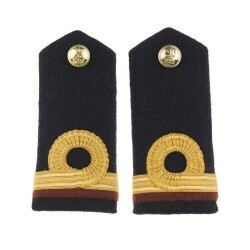 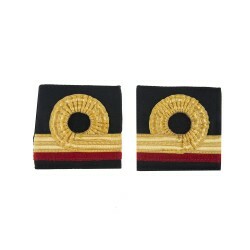 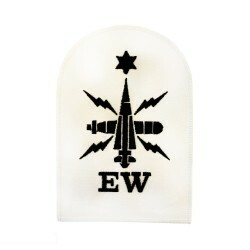 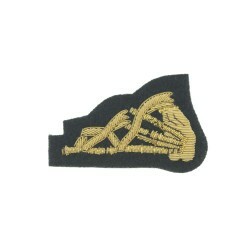 Surgeon Sub Lieutenant (D) epaulette for the Royal Navy.This Royal Navy Surgeon Sub Lieutenant (D) e..
Movement Officers Armlet. 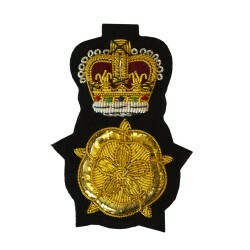 This armlet features a gold metal crown and eagle. 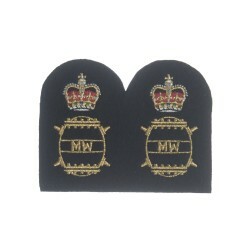 This armlet is typ..
Senior Term Officer Rank Slide for the Royal Military Academy Sandhurst (RMAS).This Senior Term Offi..
Motorman Slider Epaulette for the Royal Fleet Auxiliary (RFA) in the Royal Navy.This Chief Petty Off.. 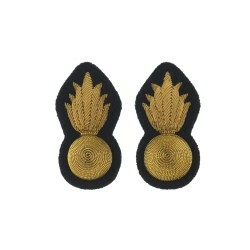 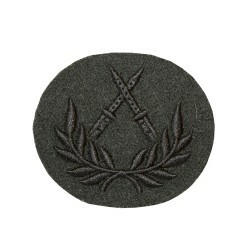 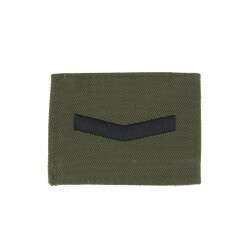 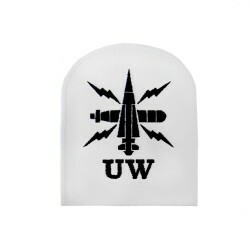 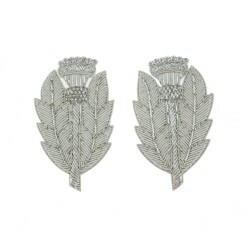 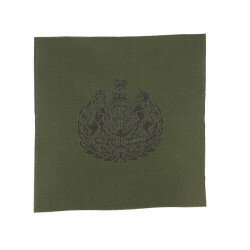 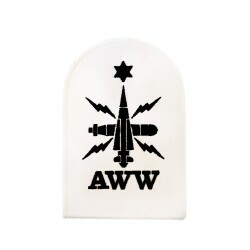 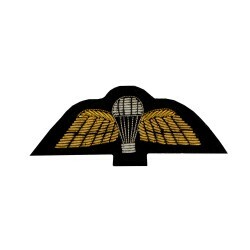 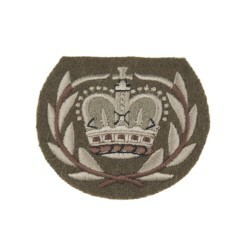 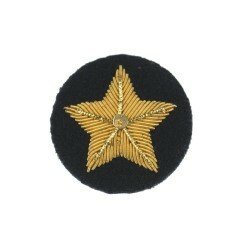 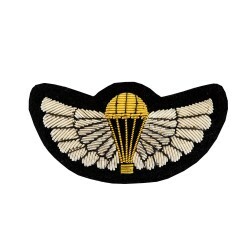 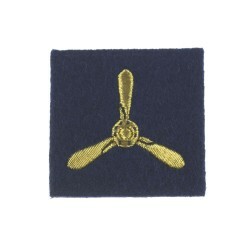 Flight Sergeant rank insignia badge for the Royal Air Force (RAF). 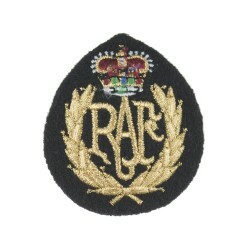 This Flight Sergeant b..
Household Division and Honourable Artillery Company (HAC) (Infantry) Warrant Officer Class 2 (WO2) c..
Bandmaster Qualification Badge for the RAF.This Bandmaster Qualification Badge for the Royal Air For..
Amphibious Assault Formation Badge for the Royal Marines.This Royal Marines Amphibious Assault Forma..
Royal Navy Air Engineer Mechanic Qualification Badge for the rank of Able Rate.This white machine em..
Royal Navy Mine Warfare qualification badge for the rank of Petty Officer (PO).This white Royal Navy..
Royal Navy Logistics RN Welfare qualification badge for the rank of Chief Petty Officer.This blue Ro..
Royal Navy Logistics RN Welfare qualification badge for the rank of Petty Officer.This blue Royal Na..
Royal Navy Logistics RN Welfare qualification badge for the rank of Chief Petty Officer (CPO).This b..
Royal Navy Photographer (P) Qualification Badge for the rank of Chief Petty Officer.This white ..
Royal Navy Photographer (P) Qualification Badge for the rank of Petty Officer.This white machine emb..
Royal Navy Photographer (P) Qualification Badge for the rank of Leading Rate.This white machine embr..
Royal Navy Photographer (P) Qualification Badge for the rank of Chief Petty Officer.This blue m..
Royal Navy Photographer (P) Qualification Badge for the rank of Leading Rate.This blue machine embro..
Royal Navy Photographer (P) Qualification Badge for the rank of Petty Officer.This blue machine embr..
Royal Navy Under Water qualification badge for the rank of Able Rate.This white Royal Navy badg..
Royal Navy Under Water qualification badge for the rank of Basic Rate.This white Royal Navy badge fe..
Royal Navy Under Water (UW) qualification badge for the rank of Able Rate.This blue machine emb..
Royal Navy Electronic Warfare qualification badge for the rank of Able Rate.This white Royal Na..
Royal Navy Electronic Warfare qualification badge for the rank of Leading Rate.This white Royal Navy..
Royal Navy Above Water Weapons qualification badge for the rank of Able Rate.This white RN badg..
Royal Navy Above Water Weapons qualification badge for the rank of Basic Rate.This white R..
English Rose badge for the Lord-Lieutenant Peak Caps.This Lord-Lieutenant cap badge features a ..
Royal Navy Underwater Warfare Branch (UW) qualification badge for the rank of Basic Rate.This n..
Royal Navy Electronic Warfare qualification badge for the rank of Able Rate.This blue Royal Nav..
Royal Navy Electronic Warfare qualification badge for the rank of Basic Rate.This blue Royal Na..
PCBC Infantry Regiment qualification badge for the British Army. 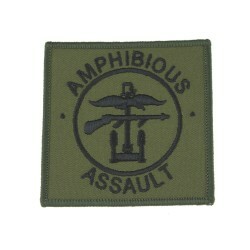 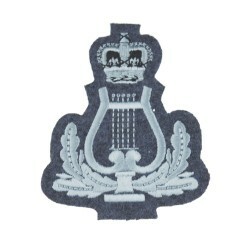 This Infantry Regiment qualifi..
WO1 Royal Arms badge for The Rifles, Yorkshire Regiment and the Royal Regiment of Wales (Prince of W..
Royal Coat of Arms WO1 badge for the Royal Army Medical Corps.This Warrant Officer Class 1 Royal Coa..
Diver qualification badge for the Royal Engineers.This Diver qualification badge for the Royal Engin..
Parachute Wings qualification badge for the Scottish Infantry in the British Army.This Parachute Win..
Machine Gun Marksmen Qualification Badge for the Foot Guards regiment in the British Army. 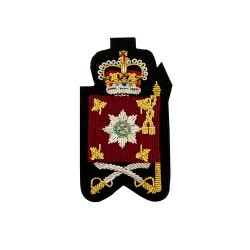 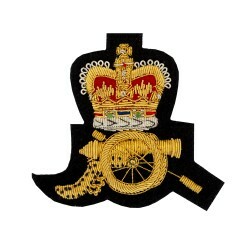 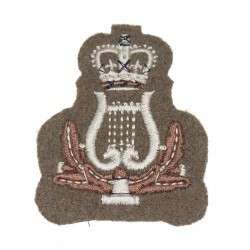 ..
Signalling Instructors and Qualified Signallers qualification badge for the British Army.This Signal..
Royal Arms Badge for Regimental Corporal (Cpl) and Farrier Corporal Major in the Household Cavalry (..
Kings qualification badge for the Royal Marines.This Kings Badge qualification badge for the Royal M..
Field Gun and Crown - Battery Quartermaster Sergeant badge for the Royal Horse Artillery (RHA) in th..
Parachutist Qualified Badge for the Special Air Service (SAS).This Parachutist machine embroidered b..
Colour Sergeants and Company Quartermaster Sergeants rank badge for the NCO's and Irish Guards ..
Pioneer Sergeant rank badge for the Grenadier Guards in the British Army.This Pioneer Sergeant rank ..